Always on your feet? Suffering from foot and heel pain? If so then a pair of these gel insoles can help to take pressure off your feet and ease your pain once and for all. Honeycomb design adapts to the shape and contours of your feet providing you with a custom level of support and protection. Excellent silicone gel shock absorption helps to stop shock from causing damage to your feet and lower limbs. Ideal for treating a wide range of foot and lower limb complaints including metatarsalgia, plantar fasciitis, heel pain, shin splints, and knee pain. Orthotic technology supports the arch of your foot and prevents biomechanical imbalances such as overpronation and supination from causing excessive strain on key parts of your feet and lower limbs. For those who are on their feet for long periods these insoles can be a perfect way to help ease tired and aching feet. The silicone gel is designed to help stop the build-up of damaging pressure underneath your feet and heels by spreading this pressure evenly across your whole foot. Comes with a full 30-day money back guarantee so you have nothing to lose by buying a pair. Diabetic foot problems. Diabetes can cause a lack of insulin in the blood causing blood sugar levels, these higher blood sugar levels can overtime damage nerves found in your feet causing Diabetic neuropathy can make regulating temperature in your feet harder, affect your ability to move your the muscles around the damaged nerves, restrict circulation and affect feeling in your feet. This can make you more susceptible to developing other foot problems as a result. Wearing gel insoles can help if you are suffering from diabetes. The massaging gel that these gel insoles use help to massage your feet which will in turn help to boost blood circulation around your feet. Gel insoles will also help to support your feet in a natural and comfortable position helping to improve the biomechanics and movement of your feet. Improved biomechanics will also help you to walk more efficiently and safer preventing you from injuring your feet! Wearing a pair of gel insoles can help if you have plantar fasciitis. Gel insoles are designed to correct underlining biomechanical imbalances such as overpronation by supporting your feet and preventing your feet from over or under pronating when you walk or run. If you have plantar fasciitis your feet will no longer be able to absorb shock properly increasing your risk of further damage to the plantar fascia. 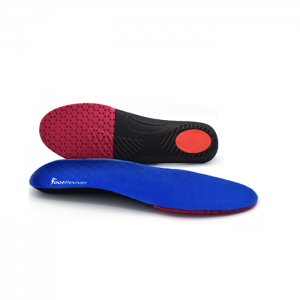 These insoles are made from medical grade silicone gel that will help to prevent shock from damaging your feet. 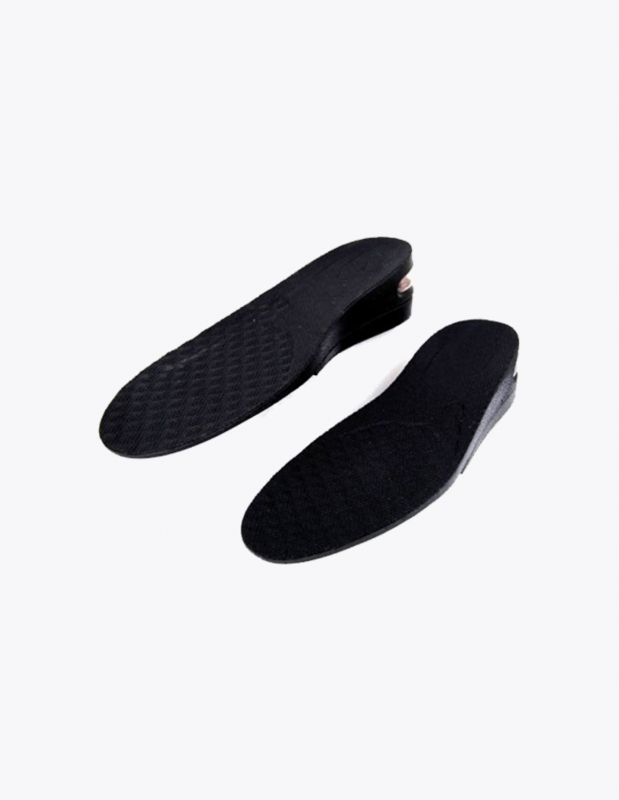 The insoles will also help to rebalance and redistribute weight in your feet and heels stopping pressure from building up and causing damage if you are on your feet for long periods. A bunion is a deformity that causes the big toe to point inwards towards your other toes, this causes the big toe joint to stick outwards and a bunion to form on it. Depending upon the severity of the bunion this foot deformity can cause swelling pain and can even cause other toe and foot problems to develop such as blisters, hammer toes, metatarsalgia and even plantar fasciitis due to the increased pressure that bunions place on your feet and toes. Bunions can only be cured via surgery however you can help to prevent yourself from developing bunions or stop a bunion from getting worse by wearing a pair of gel insoles. Gel insoles are designed to help to stop the big toe joint from pointing inwards and reposition the feet in a way that will put the least amount of pressure on the toes. As well as wearing gel insoles it is also advised to make sure you wear shoes that properly support your feet, with a wide toe box and are not too narrow. To find out more about getting rid of bunions you can read our handy guide available here. If you have flat feet it means that the arch of your foot completely touches the ground when you are stood up. Having flat feet can make you more susceptible to biomechanical imbalances such as overpronation which can place extra stress on key ligaments in your feet such as the plantar fascia. Over time this stress can cause damage and can trigger overuse injuries such as plantar fasciitis. Gel insoles are designed to mold to the shape of your feet and help to give your feet the extra arch support that they need. This helps to take the strain off the ligaments of your feet and prevent them from becoming damaged. You can read more about the effect of having flat feet and how insoles can help here. Metatarsalgia is a medical term used to describe pain in the ball of the foot. Metatarsalgia can be caused by a number of different things including rheumatoid arthritis, gout, diabetic foot problems, wearing tight unsupportive shoes, persistent shock or injury to the foot. 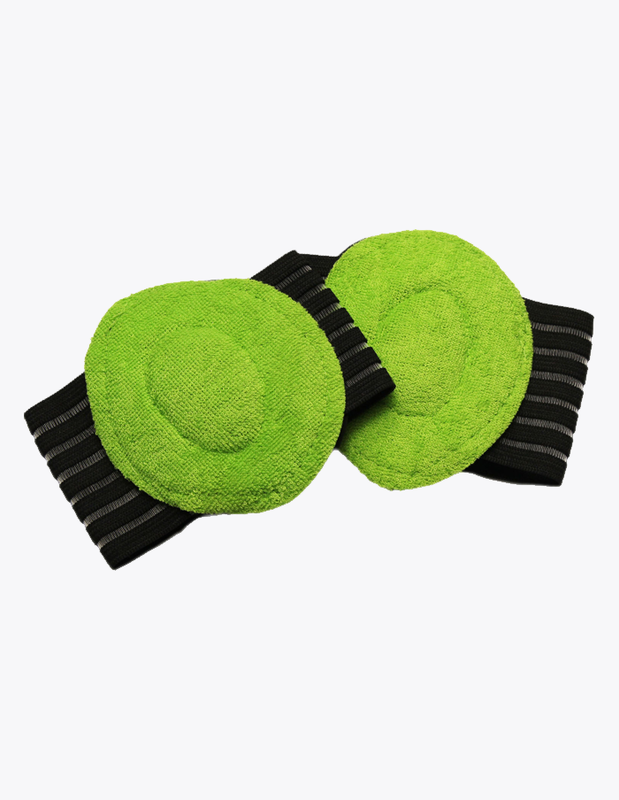 Gel insoles will help to massage the ball of the foot helping to correct pronation when you walk, ease pressure off the balls of your feet and prevent shock from causing more damage. As well as wearing gel insoles it is also recommended to wear metatarsal pads which will also help to boost your recovery. You can find read more about the benefits of metatarsal pads here. Shin splints can be caused by a number of different things including running on hard surfaces, having flat feet that overpronate when you walk or run, having tight calf muscles, obesity placing excessive weight on your lower limbs, weak ankles, or a tight Achilles tendon, wearing poorly fitted shoes that do not support your feet properly or absorb shock and repetitive weight bearing on the lower legs. Shin splint pain is often characterized by a dull ache on the shins and can progress into a sharp and severe pain. Shin splints usually arise soon after exercise and will tend to fade when resting. Wearing gel insoles can help if you have shin splints. This is because gel insoles are designed to give your feet more support helping to correct your pronation and prevent strain on your shins. Gel insoles also help to deplete shock when you walk preventing this shock from damaging your shins. 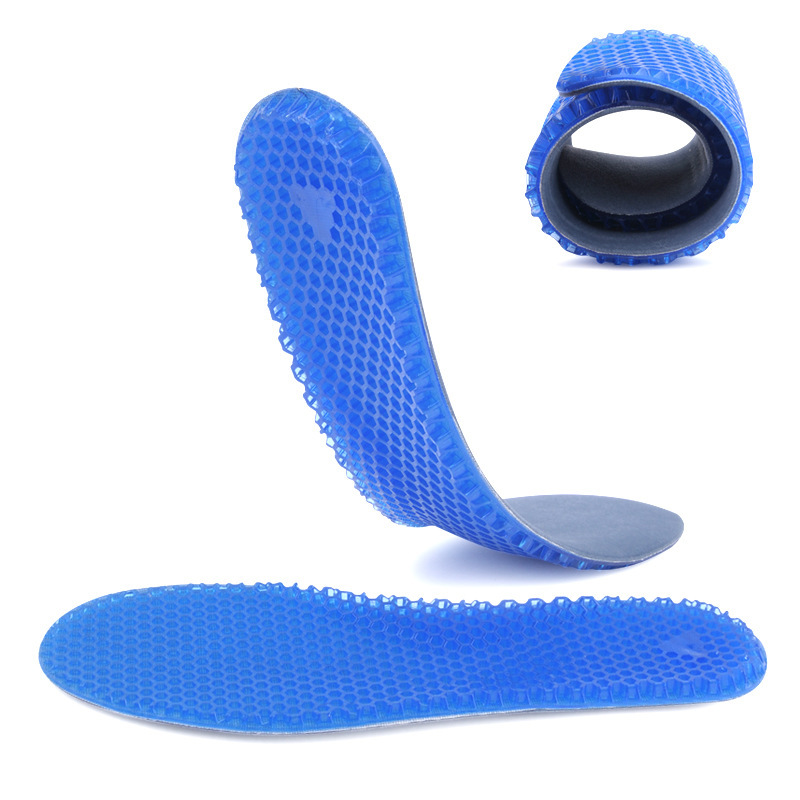 If you are on your feet all day and suffer from shins splints then these gel insoles will help to stop pressure from building up by spreading pressure underneath your feet evenly helping to stop this pressure from damaging your shins and lower limbs. If you have shin splints it is also recommended to do regular stretches to help strengthen the supporting muscles around your shins. Overuse of the knee. Repetitive bending or doing a lot of high-stress exercises, such as lunges or plyometrics, can over time irritate and damage your knee joint. Direct trauma or twisting of the knee, for example from a fall or impact. A malalignment of the bones in your knee. If any of the bones from your hips to your ankles are not positioned as they should, this can cause excessive pressure on certain spots in the knee which can cause pain. Persistent shock can cause micro-tears as well as collagen degeneration to form on the patellar tendon of the knee (known as jumpers knee) which can worsen if the shock is not stopped. Biomechanical imbalances such as overpronation or hypermobile feet (which is when the joints in your the feet move more than they should), can affect your gait and place excessive pressure and strain on the knee. Weak or unbalanced thigh muscles. The thigh muscles help to keep the knee cap and knee joint in place if their thigh muscles develop an imbalance or become weakened this can lead to the knee becoming out of place which can result in knee pain. Gel insoles are designed to better support your feet, correct pronation and stop shock from resonating up to your knees and damaging them. 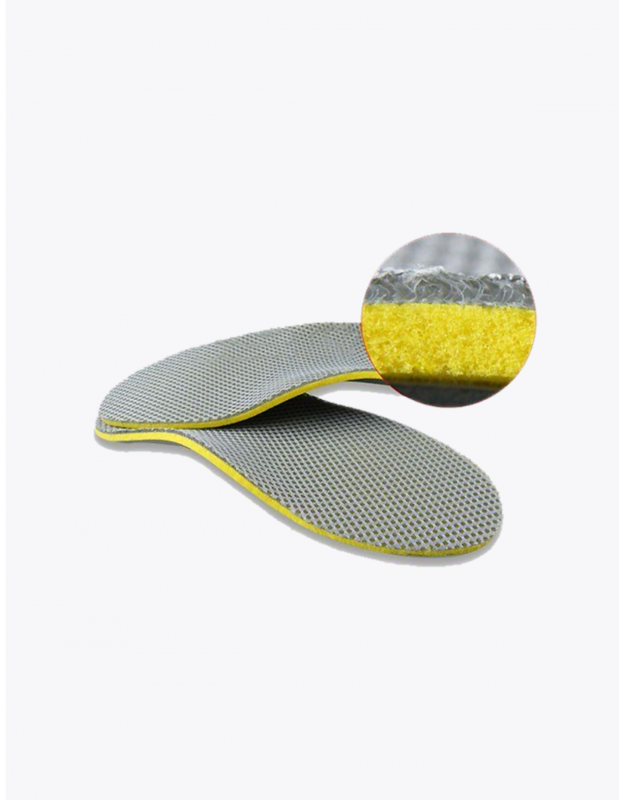 These insoles will also help to correct imbalances in your feet and lower limbs reducing strain on your knees as well. If you need some decent gel insoles then get these they are just brilliant! I no longer get any aches or pains in my feet what so ever. Bets things I have bought in a long time. I have flat feet this means that I often get foot cramp and pains if I am on my feet to long or walk for any distance. I have lost count of the amount of times that I have had plantar fasciitis and other nasty foot problems. One day one of my friends was sick and tired of me complaining about how bad my feet hurt and suggested I buy some gel insoles. After looking online I decided upon getting these and haven’t looked back! Since buying these insoles my feet have really improved. I now never leave the house without these inside my shoes. They have really helped take the strain off my feet and get rid of pressure underneath my heels really well. I have not had any real problems with my feet since wearing these. If that wasn’t good enough for you then the delivery was really quick too, as I ordered them on a Monday and got them in the post on the Wednesday!